Earlier this month, a state appellate court issued a written opinion in a Michigan car accident case discussing the state’s personal protection insurance (benefits) system. The case is important for all Michigan accident victims because it shows how the PIP system works, and under what circumstances an injury victim may not be covered. As a general matter, Michigan’s PIP framework is a no-fault system, meaning that an injury victim does not need to show that the other driver was at fault to recover PIP benefits. However, questions can come up regarding whether a person is covered under a PIP policy. 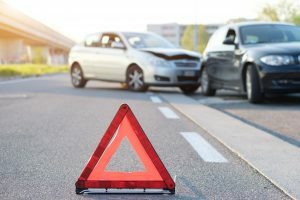 In situations involving multiple vehicles and multiple insurance policies, issues may also arise regarding which insurance policy has “priority,” or is responsible for covering the claim. Due to Michigan’s location in the center of the country, the state gets a high volume of semi-truck traffic. While most of these Michigan truck drivers are professionals who take their job – as well as the safety of their fellow motorists – very seriously, that is not always the case. Indeed, according to the most recent government statistics, there were over 14,000 Michigan truck accidents in 2017 alone. These accidents resulted in nearly 2,500 injuries and almost 100 deaths. What is perhaps more startling than the raw numbers is the fact that the majority of these Michigan truck accidents are preventable. According to the Federal Motor Carrier Safety Administration, vehicle problems and environmental factors account for only 13% of all truck accidents, and a shocking 87% of all truck accidents can be attributed to driver error. Most commonly, these accidents are the result of poor decision making or a truck driver’s failure to recognize imminent hazards, turns, and vehicles. 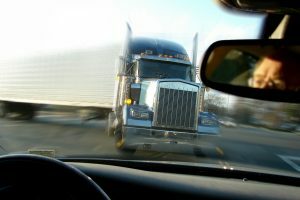 Those who have been injured in a Michigan truck accident can pursue a claim for compensation against a truck driver. In many cases, the accident victim can also name the driver’s employer as a defendant. To establish liability, an accident victim must be able to show that the truck driver violated a duty of care that was owed to the accident victim, and that the violation of that duty was the cause of the accident victim’s injuries. Under Michigan law, bicyclists have an absolute right to ride on public roads and are entitled to all the same rights as those operating motorized vehicles. At the same time, bicyclists must obey the rules of the road, including both generally applicable laws as well as bicycle-specific laws. The most important rule for Michigan bicyclists to remember is that they are required to ride as close to the right side of the road as practicable. While bicyclists are responsible for exercising due care while riding on public roads, motorists must respect cyclists’ right to use the road. Thus, motorists must yield to bicyclists when it would be appropriate to yield to another motorist. 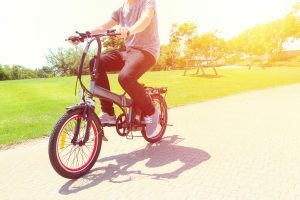 When a driver causes a Michigan bicycle accident, they may be held liable for any injuries occurring as a result of their negligence. Recently, a bicyclist was killed while he was on the way to his mother’s home to watch the Super Bowl. According to a local news report, the bicyclist was struck by a motorist near the intersection of Groesbeck Highway and 10 Mile Road in Warren, Michigan. The exact circumstances surrounding the accident are not known; however, law enforcement estimates that the motorist was traveling at approximately 70 miles per hour when he struck the bicyclist. After the collision, the driver fled the scene, leaving the bicyclist seriously injured and alone on the side of the road. For years, the top causes of Michigan car accidents have been speeding, distracted driving, and drunk driving. According to the most recent data from the Michigan State Police, of the 937 auto accident fatalities that occurred in Georgia in 2017, alcohol was involved in 320 accidents. Almost a third of those fatal Michigan DUI accidents occurred in Wayne County, Oakland County, or Kent County. 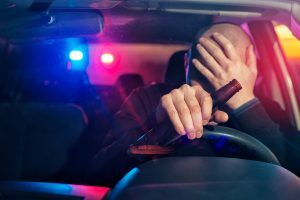 While driving under the influence of drugs or alcohol has long been against the law in Michigan, motorists continue to get behind the wheel after they have had too much to drink. If someone causes an accident while under the influence of drugs or alcohol, they may face criminal charges. However, even a successful criminal prosecution against a drunk driver will not likely result in any significant restitution being paid to the accident victims. 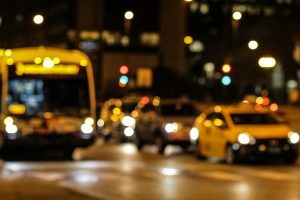 If a victim of a Michigan DUI accident hopes to recover financial compensation for their injuries, they can pursue a Michigan personal injury or wrongful death case against the at-fault driver. In either a personal injury or wrongful death case, a plaintiff must be able to establish that the defendant violated a duty of care that was owed to them, and that the defendant’s violation of that duty resulted in their injury or the death of their loved one. 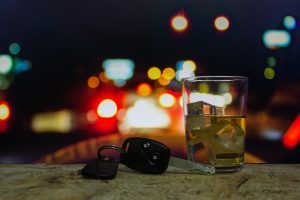 Because there is a criminal statute that prohibits drunk driving, personal injury plaintiffs may be able to more easily prove their case of negligence against an alleged drunk driver. Thus, a plaintiff may be left only with the need to establish that the defendant’s actions were the legal cause of their injury. Last year, the state supreme court issued an opinion in a Michigan personal injury case requiring the court to determine the appropriate analysis to use in cases involving injuries that were obtained while engaging in a recreational activity. According to the court’s recitation of the facts, the plaintiff was playing a game of golf with the defendant. 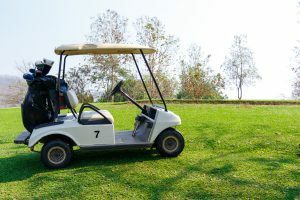 During the game, the defendant allegedly ran over the plaintiff’s foot with the golf cart the two were using to navigate the course. Both the plaintiff and the defendant offered very different versions of the facts. The plaintiff filed a personal injury lawsuit against the defendant, claiming that the defendant’s negligence caused his injuries. The plaintiff asked the trial court to hold that the defendant was liable as a matter of law. The defendant argued that, because the two were engaged in a recreational activity, he could only be held responsible if he was found to have engaged in “reckless misconduct.” Because the plaintiff did not claim that the defendant was reckless, the defendant argued that the case should be dismissed. 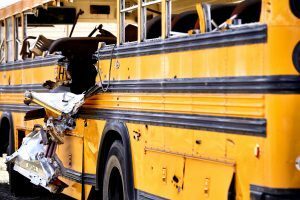 In a recent personal injury case before a Michigan appeals court, the plaintiff sued a school district after the plaintiff’s car crashed with a school bus. The plaintiff filed a claim of negligence against the bus driver and argued that the school district was vicariously liable. The school district argued that the plaintiff’s claims were barred due to government immunity. A governmental agency is generally immune from lawsuits, although certain exceptions apply. If a government employee is engaged in a governmental function, both the employee as well as the agency are generally protected by immunity. The plaintiff claimed that the case fell under the motor-vehicle exception. Under MCL 691.1405, a governmental agency is liable for injuries and property damages that result from “the negligent operation by any officer, agent, or employee of the government agency, of a motor vehicle of which the governmental agency is owner.” In a negligence claim, a plaintiff must prove duty, breach, causation, and damages, and the plaintiff bears the burden of proving a negligence case. Despite decades of government programs discourage drinking and driving, drunk driving represents one of the major causes of all Michigan car accidents. Indeed, it is estimated that approximately 27% of all serious Michigan car accidents are caused by drunk or drugged driving. Michigan lawmakers take drunk driving seriously, and have enacted a strict set of penalties to punish those found guilty of drunk driving. However, criminal cases are more concerned with punishing an alleged drunk driver for violating the law than providing financial assistance to injury victims. Thus, criminal proceedings often provide little solace for accident victims. While a criminal case against a drunk driver may not provide much help to an accident victim, anyone who has been injured in a Michigan DUI accident may be able to pursue a claim for compensation against the allegedly drunk driver through a civil personal injury lawsuit. If a crash results in the death of an accident victim, the surviving family members of the deceased may pursue a Michigan wrongful death claim. In the event that the defendant dies as a result of the accident, injured parties are not without a remedy. This is because Michigan car accident victims can name the estate of an allegedly negligent driver in either a personal injury or wrongful death case. In a recent case before a Michigan appeals court, the court considered whether Mercedes-Benz could be held liable after the plaintiff fell on a display at the North American International Auto Show in Detroit. Evidently, the plaintiff, an auto dealer from Pennsylvania, attended Mercedes-Benz’s press conference, during which a presenter rode an autonomous vehicle onto the stage. The next day, the plaintiff went to get a better look at the autonomous vehicle which was on display. While he was looking at the vehicle, he tripped over a plexiglass barricade and landed on his right shoulder. He had surgery on his shoulder shortly before the auto show, and his arm was already in a sling at the time. Two men, whom the plaintiff believed were Mercedes-Benz employees, tried to help him up by pulling on his arm. He eventually left and found out that he had re-torn his right rotator cuff, requiring a second shoulder surgery. The plaintiff sued Mercedes-Benz, seeking compensation for his injuries. He claimed that the company was negligent in putting up the plexiglass barrier, that it breached a portion of its contract by failing to make the exhibit safe, and that the two men that helped him up were negligent in pulling on the plaintiff’s arm. 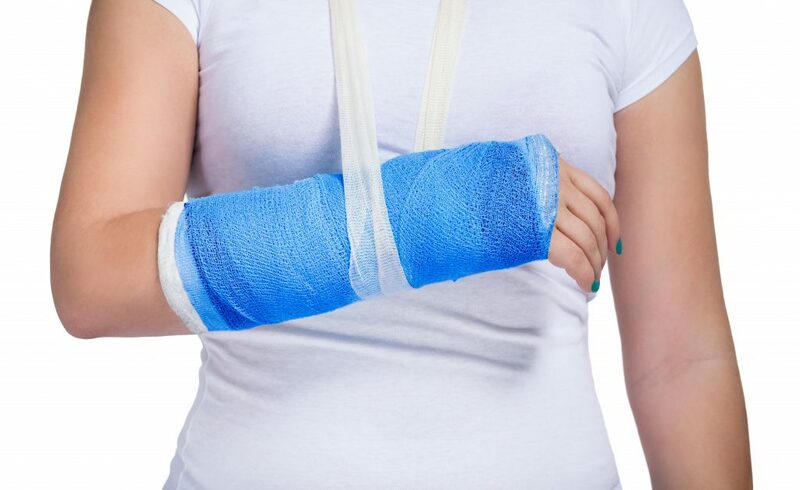 The defendant argued that the plexiglass barrier was an open and obvious hazard, and therefore, it was not liable for the plaintiff’s injuries. The allegations laid out in a plaintiff’s complaint are the basis for the claim. Thus, the manner in which a case is pled can have an enormous impact on how it proceeds through the court system. Earlier this year, the Michigan Supreme Court issued an opinion requiring the court to determine whether the allegations in the plaintiff’s complaint were medical malpractice claims or ordinary negligence claims. If you have questions of this nature, be sure to reach out to a Michigan medical malpractice attorney. The plaintiff filed a lawsuit against a hospital after she was injured while being treated at the hospital. Evidently, the plaintiff was admitted to the hospital after she had an aneurysm, causing her to suffer a stroke and cardiac arrest. The plaintiff claimed that while she was being treated at the hospital, an aide helped move her to the bathroom and dropped her twice in the process. She claimed that she suffered a torn rotator cuff as a result, requiring her to undergo multiple surgeries, as well as bleeding in her brain. 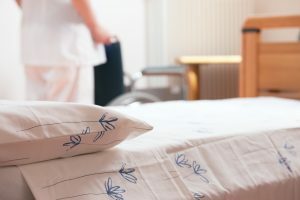 In her complaint, the plaintiff argued that the hospital was negligent in several ways, including in failing to provide an adequate number of nurses to assist the plaintiff, failing to properly train the nurse, and failing to ensure the plaintiff’s safety. The plaintiff filed the claims against the hospital within three years of her admission at the hospital. In 2011, the plaintiff was hit and killed by a train in Wayne County, Michigan. His representatives sued the train operators responsible for the crossing where the accident happened. After a trial, the jury found the defendants not liable for the plaintiff’s death. Now the plaintiff is asking for a new trial. In federal court, there are many reasons that a court can grant a new trial. These include that the verdict is against the weight of the evidence, there were substantial errors in the admission or exclusion of evidence, or other reasons that leads the court to believe that the trial was unfair. The plaintiff here puts forth five different arguments as to why there should be a new trial. The first argument that the plaintiff makes is that it was improper for the court to allow in evidence about the plaintiff’s medications. Specifically, the medical examiner’s testimony that the deceased had an antidepressant that can cause suicidal ideations. The plaintiff can only get a new trial by proving that the court abused its discretion by allowing this evidence to be heard by the jury. Here, the Eastern District Court of Michigan held that the evidence was properly allowed in.